We’ve been creating wod journals for Mat and his team at CrossFit City Line for the past decade and have refined it to the point that they could send out a blank email to us and we would know to send them another set. 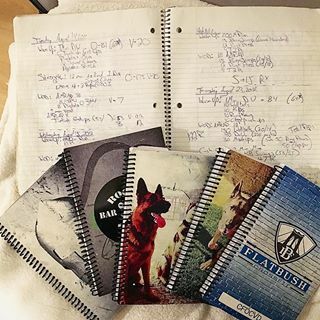 Mat started with one of our standard journals but has added a few custom benchmarks and pages to really make it work for his members. The CrossFit City Line WOD Journal has a few major components that enable it to help Mat’s athletes perform better. Perhaps the most important part of a journal is the actual act of writing. By writing things down the athlete creates a tactile link to your brain. By choosing what to write and editing it to a digestible format, you internally critique your own workout. Further, when you write down your workout before you even performed it, you start to unconsciously strategize. You think about about how to perform at your highest level and figure out the sticking points you’re likely to encounter. Those workout pages also act as a record of your score as the workout progresses. Then, post-workout, you are able to quickly and efficiently take very specific notes on how the workout went. 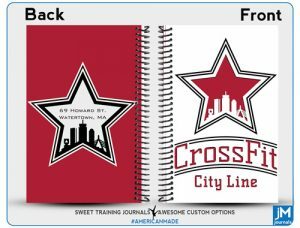 Another important thing the CrossFit City Line WOD Journal helps do is it allows their athletes to easily review prior performance. When you review your performance you set yourself to learn from the past. This goes beyond nearly goalkeeping. If you are noticing a trend in your workouts, and figure out that you PR mostly in the afternoon, then you can apply those lessons to your next major efforts. 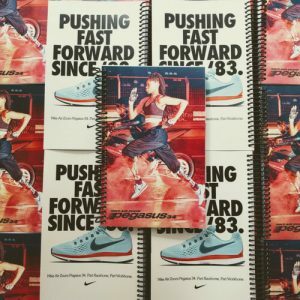 The constant goal setting, workout keeping and performance reviewing makes a journal the most powerful tool in an athlete’s arsenal. 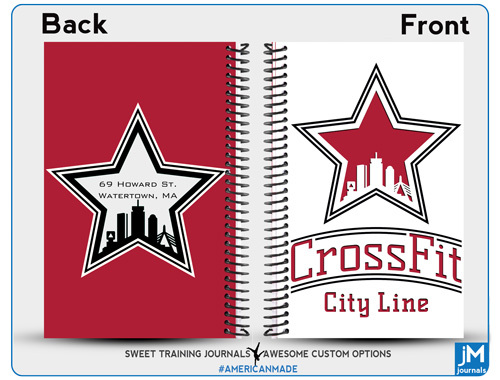 With this CrossFit City Line WOD Journal, we included pages that are extremely functional for athletes following a CrossFit program. To do this we’ve taken our background in fitness and functional movement, along with the combined decades of experience we’ve had in and around CrossFit boxes to tailor pages for the CrossFit City Line athletes who are pushing themselves in conditioning and strength sessions. 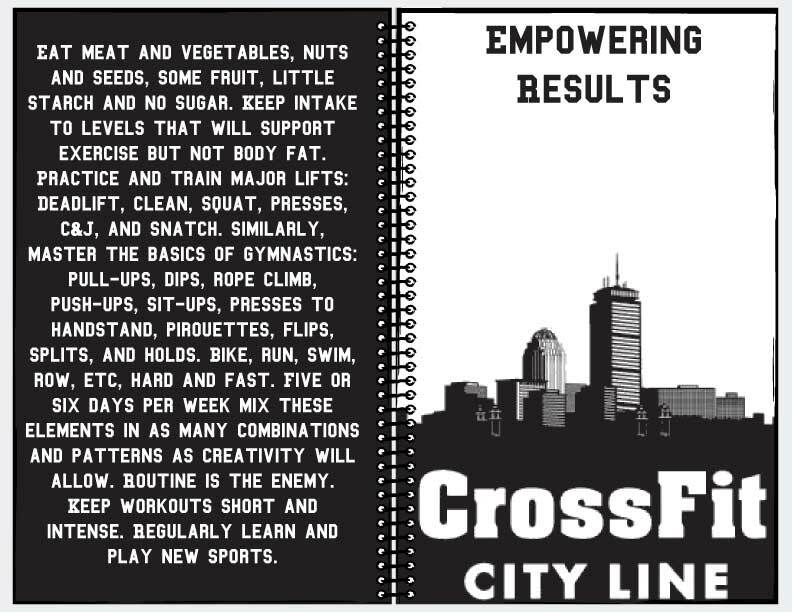 The CrossFit City Line workout pages help track and improve sleep habits, nutrition and overall well-being while providing ample space for recording both the conditioning and strength components of CrossFit City Line’s programming. It’s incredibly important to track your nutrition and sleep in order to get the broadest picture possible of your wellness and Mat wanted to make sure that was a component of his page. In addition to the workout pages, we’ve included goal and basic nutrition pages to help with setting goals and eating correctly. Joint mobilization and flexibility are critical to technique and injury prevention so we’ve got a handy guide to keeping those potential issues addressed. Mat and the team wanted to add some extra benchmarks tailored just to CrossFit City Line so we borrowed our standard templates and dropped in his workouts. 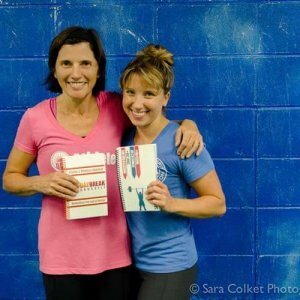 The Hero, Girls and Classic Benchmark pages are setup to help you brainstorm workouts. 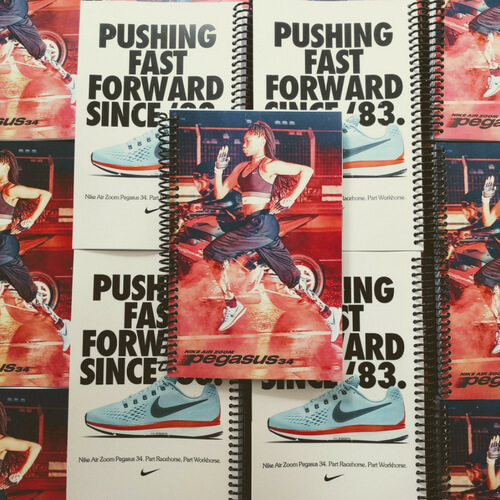 The PR pages are built to help easily keep all the best lift performances in one place. 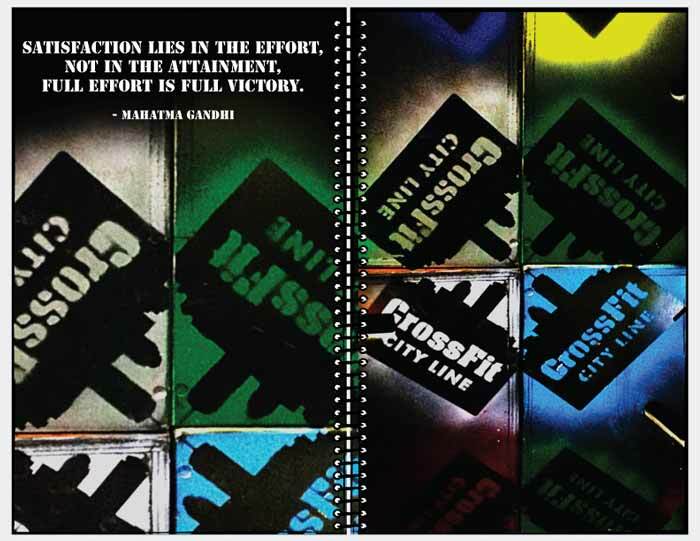 The outer skin of a CrossFit City Line WOD Journal is its cover. 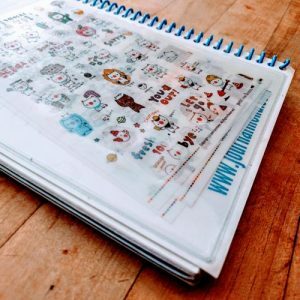 We’ve chosen a difficult to source and highly durable polymer paper cover that doesn’t rip or soak up water. 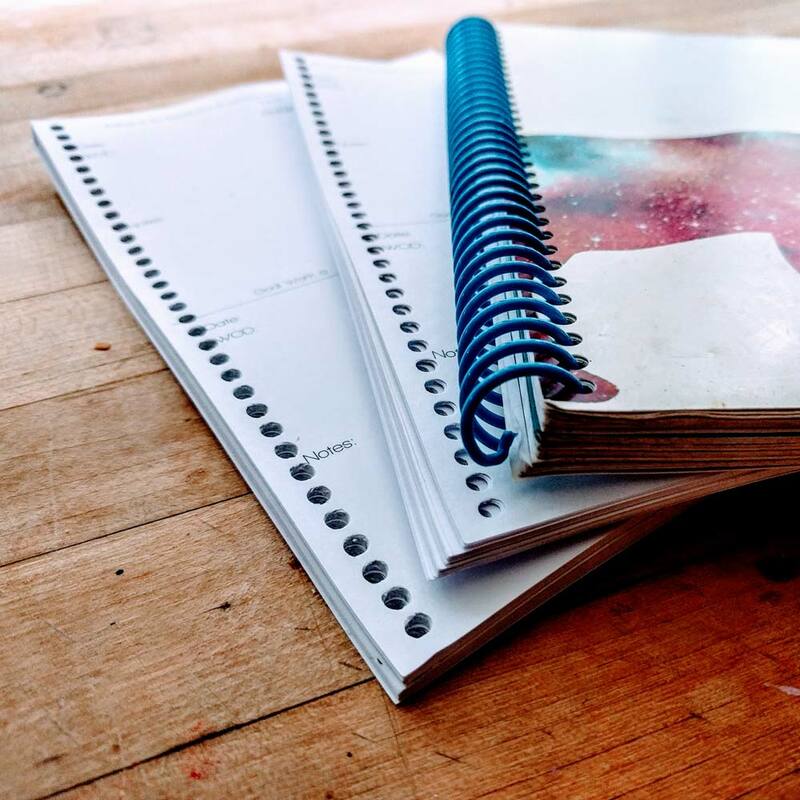 The other reason we use a polymer paper is because we want to print your cover to match your aesthetic. With Mat’s covers we’ve changed it up a few times over the years and each time we try to provide a few options to choose from. 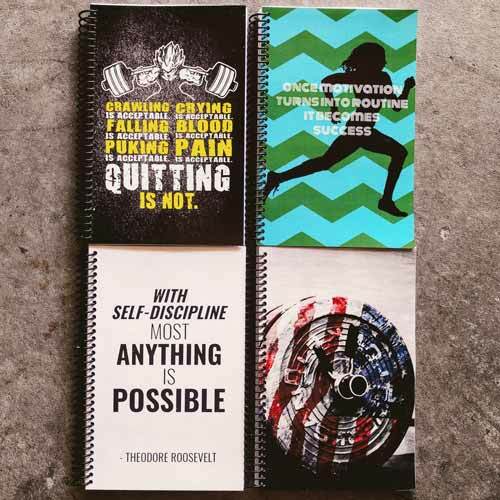 While we’ve tried to make a bunch of different covers available to you, if you want to create something for yourself then you can check out our custom cover WOD Journal or our build a journal products. 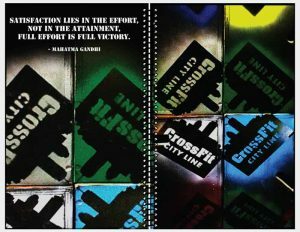 If you want to create a cover like CrossFit City Line, we often suggest you put your name or top and goals on the cover of your journal to help inspire you to succeed. While we try to get everything perfect the first time, print errors can happen and shipments lose their way. That’s why if there’s any problem with your order at all, we’ll fix it with replacements or a refund. Mat had one of his boxes disappear into the ether a few years back and emailed us for an update. Rather than wait for the journals to show up late, we printed out a new batch and got them out the door to him the next day. The errant journals came back a couple months later with some Florida postal stamps on them and if they could talk they’d probably have an interesting story of gators and frogmen. 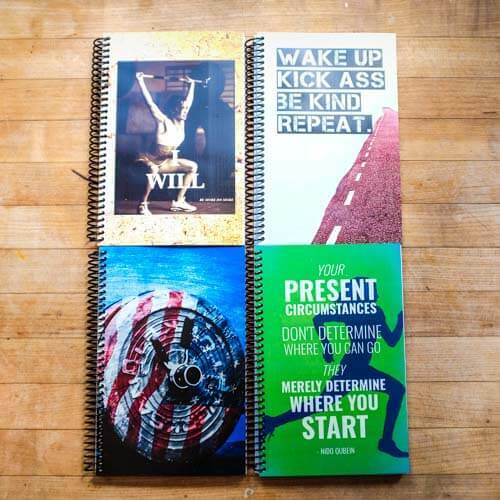 Seriously though, we want you to love your journals and for your clients to love and use them too.